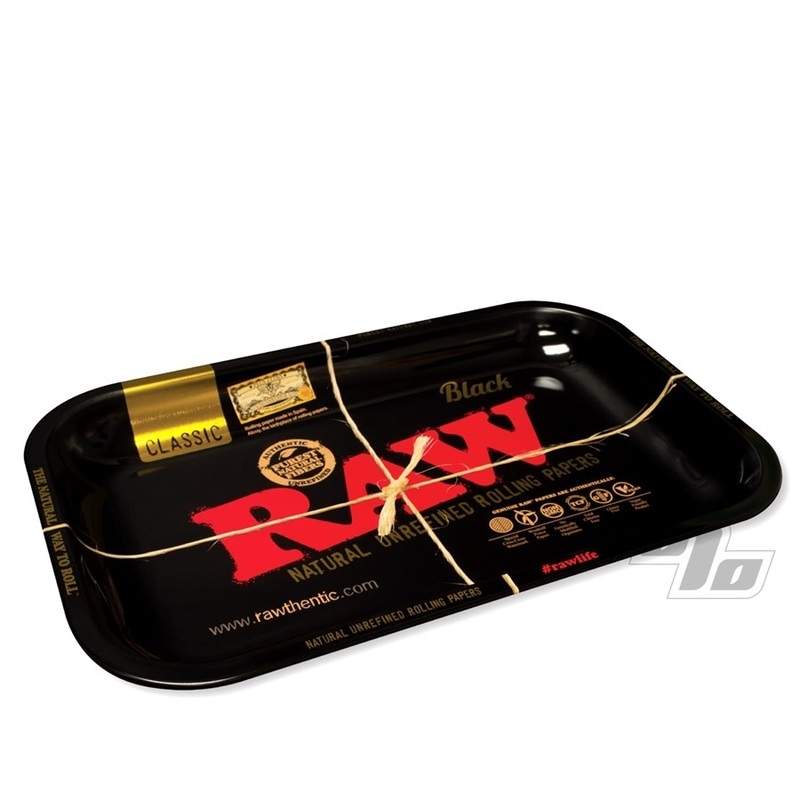 The new small RAW Black Rolling Tray is a slick metal rolling tray brought to you by RAW Rolling Papers. 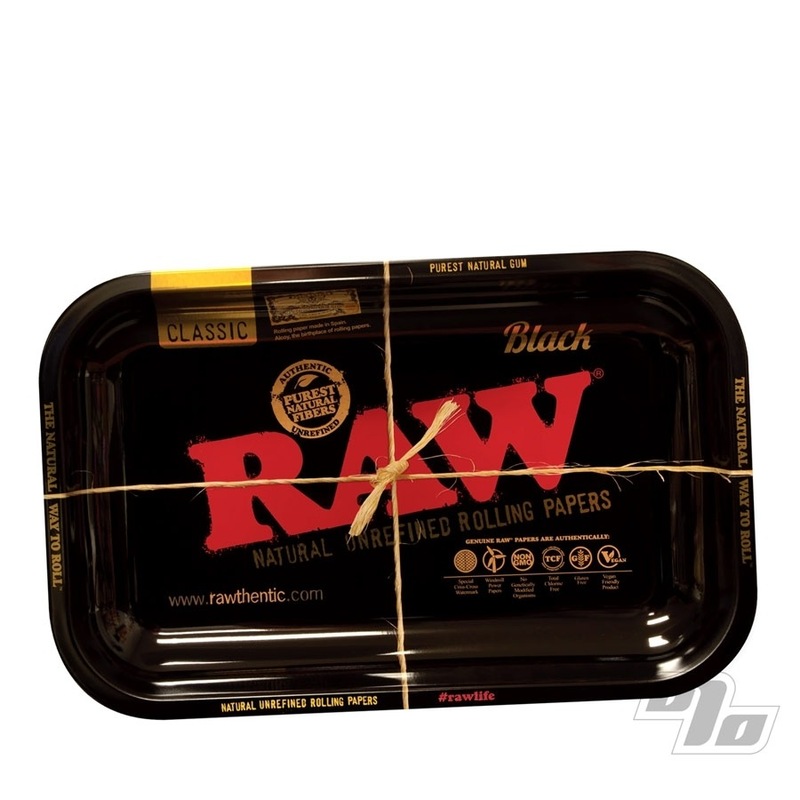 Set your RAW Black Papers up as you roll up over this beautiful black and gold background of the latest RAW Rolling Paper. This is a classic small metal rolling tray with curved edges to hold all your gear while you roll. Coming in at 11 x 7 inches and 1 inch deep, you have the surface needed to work yet easily fits both on your lap or in your carry on bag. RAW papers roll up nice on this rolling tray as do other fine rolling papers.